Dr. Mobasser is amazing. I absolutely love her and would definitely see her again in the future/recommend her to others.She is clearly extremely smart and compassionate, with great bedside manner and a sense of humor. I will note, though, that I saw the nurse practitioner on another trip to this office (her name escapes me), and she wasn't quite as good. She was less personable and not as thorough. While Dr. Mobasser deserves 5 stars all the way across the board, the nurse practitioner would average 4 stars from me. She's not terrible, but she doesn't warrant a glowing recommendation. Beware booking on ZocDoc -- you can't tell who you will be seeing between the two of them -- so perhaps give the office a call. Dr. Mobasser is amazing. I absolutely love her and would definitely see her again in the future/recommend her to others. She is clearly extremely smart and compassionate, with greatbedside manner and a sense of humor. I will note, though, that I saw the nurse practitioner on another trip to this office (her name escapes me), and she wasn't quite as good. She was less personable and not as thorough. While Dr. Mobasser deserves 5 stars all the way across the board, the nurse practitioner would average 4 stars from me. She's not terrible, but she doesn't warrant a glowing recommendation. Beware booking on ZocDoc -- you can't tell who you will be seeing between the two of them -- so perhaps give the office a call. 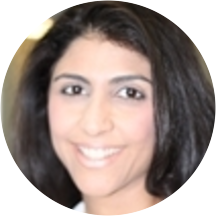 As a primary care doctor and Dermatologist who serves the greater Los Angeles area, Dr. Sarvenaz Mobasser provides patients with individual, comprehensive treatment plans that serve their unique healthcare needs. Dr. Mobasser specializes in cosmetic medicine as well as family medicine for patients of all ages. Her use of the most updated technology and equipment ensures that patients receive the best care available. Patients remember Dr. Mobasser for her compassion, attentiveness, and commitment to patient welfare. I need a doctor who can be my health partner, and she's it. I need someone who can offer advice, direction, and see the whole "me". I find her staff sharp and helpful. I don't miss or reschedule my appts, she's that good. Even though Zoc Doc lists Dr. Moasser, she may not be the person your actual appointment is with. I called the day before to inquire when I noticed the reminders from the office itself, not Zocdoc, said another practicioner (a NP)and they said they don't bother to update Zoc Doc with this info. The staff was nice but the lady who first checked me in was really slow and even though I arrived before someone who had a later appointment, she allowed him to be checked in and seen first which I thought was not appropriate. Everyone else, Julia, Byron, and Marilyn the NP were very nice, though. I really enjoyed my visit with Dr.Sarvenaz. She was very professional, kind, and understanding. She made me feel comfortable, which is rare for me when it has to do with medical visits. The staff was all very friendly, and professional. I highly recommend coming here. My first appointment the other doctor saw me even though i had an appointment with Dr. Mobasser, which was very confusing as a new patient. When i came back, as i needed to draw additional blood as there wasn’t enough blooddrawn the first time for all the tests, i got to actually see this doctor to review labs. Overall I wouldn’t recommend the office. The male nurse who drew my blood was very sarcastic and unprofessional and I was nervous having him draw my blood. One of the front desk staff is very nice but the other is unprofessional. Wait time is consistently over an hour. My third time back they still haven’t been able to run one remaining blood test. Very friendly nurses and quick service! Beautiful waiting room downstairs. She is awesome and makes me feel like someone’s in good hands. Felt very rushed and like my concerns were brushed off. Not sure I will come back here again. The staff was overall pleasant, but I had to correct the spelling of my name more than twice (not because I personally care, but because of insurance and Rx reasons). They still gotit wrong and my Rx was filled under the wrong name. Dr. also filled the wrong Rx and when I called to fix it, she refilled it wrong again (a month later, good thing I didn't hold my breath and got it filled by my old doctor). She was nice, but felt like she dismissed a lot of what I was saying. Also, I was kind of scared by the outside looks of this place in a shady neighborhood. Doctor was kind and addressed all my concerns. The front desk staff could have been nicer, however. There was an issue with my insurance and I needed to push to have it taken care of. Small office in downtown Los Angeles, staff were very friendly and efficient. No parking, I was told to park in the Catholic Church parking lot after I paid for a meter. One thing I would was that I did have tofill out all of the check-in information again at the office which seemed to prolong the check-in process. Overall, a good option if you are in the DTLA area. She healed a few problems for me. But her support staff are super unprofessional and cold and short. They made me very uncomfortable. Waited 1 hour for appointment and wasn't able to be seen. My very short visit with Dr. Mobasser was very pleasant. However, I did wait a very long time (over an hour) to be seen by the Nurse Practitioner, who was less than knowledgeable about any of my concerns and also wasnot the kindest. I also felt that the Nurse who initially helped me didn't want to be bothered or inconvenienced. The front desk staff was very kind. She is wonderful. A friend recommended her and everyone in the office has always treated me very well. I've called multiple times about billing as there are errors and I'm always told that they will call me back or to call back when someone returns for lunch and I have never received a call back. In addition, they runlate ALL THE TIME. I continued to go as it was convenient to work and home, but I just needed better service from someone regarding my health. Also, whenever I needed to see a specialist, she always referred me to people out of network. SO MUCH WORK when you're just trying to feel better. Only waited a while because of verification of insurance but saw many patients in and out before me! Great, clean facility with friendly professionals. I got another doctor at this office when I showed up, and she was great! The staff was polite and friendly and the examination was concise and efficient. Would definitely recommend! Physicians were nice, front desk staff was not very friendly considering this was my first time there. The facility itself didn't feel private or well-kept/up-to-date.l could hear the conversations of other patients/physicians clearly. Follow-up communication was good but because of the above, I will not be going back. I am annoyed with the accountability of this clinic. The doctor was scheduled to call me and discuss my blood test results on Wednesday-- Wednesday: no call, Thursday: no call. Then on Friday, I personally called and the receptionist said thedoctor attempted to call me, but there was no answer from my end??? I know for certain I did not receive any missed calls either Wednesday/Thursday from the doctor. Do not try to pin your incompetence back on the patient. Anita is wonderful! I always leave the office in great health. Dr Mobasser is great, but her staff is incompetent, especially Jackie, and caused me to wait nearly a week for X Ray results. I had to literally Fax the lab on their behalf because they were umable to do so. Jackierepeatedly threatened to hang up on me or put me on hold when i became frustrated by his inability to do a basic job function. Will definitely be changing my PCP after this experience. She's a very nice and understanding and listening ???????? Except for the long wait, everything was good, the doctor and all the staff were so nice and helpful. I came in on a Friday and they were short on staff. I worked in the medical field in my earlier years so I totally understood. I do wish that the front desk staff was better prepared. Even if they normallydon't handle the front desk, all the staff should be prepared to handle any position...just in case. The office was clean, music in the background...overall pleasant experience. The doctor was extremely apologetic about the wait which I liked. I loved that she was easy going and straight and to the point. I will continue coming here. My appointment went well with Dr. Mobasser.. I left with ease. She was nice, but I felt a little rushed. This was my first time going to this practice and it will definitely be my last time. The day I arrived (March 23), I had trouble finding the place and was calling to give updates since I'm new to L.A. andgot easily confused. Everything seemed fine then I got there and they said I got there too late and the practitioner might not be able to help me. Luckily, after some time she agreed to help me, so then I continued to wait. Although, I had completed all my paperwork on ZocDoc beforehand including insurance information, they still had not contacted the insurance. They said they would process me as a cash patient then give me a refund. Since I had taken time off and gone through such an ordeal to find the place, I went ahead and paid out of pocket for the visit. Anita Moghe had a great bedside manner and was so nice. The tech who took my vitals and blood was nice too, but it seemed he had a cold so I'm not sure why he was working. I was happy when I left because Anita was so nice and pleasant. Afterwards, that's when all the issues happened. I called about my refund and never heard back. Then I called a few more times and left more voicemails and it was after the 3rd call that someone finally called me back and said there was an issue. I don't know why no one ever told me that. Then she said for me to wait for billing to go through before I call back on my refund. Therefore, I just escalated it to my insurance directly so that they can get this taken care of because I have now also received an invoice from the laboratory for that day. In addition, today is April 11th and I have yet to hear what my lab results are. I saw something in the patient portal that doesn't make sense to me, so I emailed the provider about a week ago and she still hasn't responded. Then I called yesterday and the guy said he wasn't sure and he'll have the provider call me and he'll get a fax from the laboratory for my results and I haven't gotten anything back. Then today I called and was put on hold for about 5 minutes then was hung up on. As a first time patient I'm thoroughly disappointed in the whole process and all I want is my money back and lab results. I never thought it would take almost 1 month to get this! I'm so glad I chose Dr. Mobasser as my primary care doctor! She's patient, thorough and very efficient. She took the time to address all of my concerns, make a treatment plan, and get all my follow up care in place.Her staff is wonderful too; they are easy to communicate with, friendly, and the office facilities are clean and welcoming. Great doctor at a great practice! I had a good appointment, but I did not see Dr. Mobasser. The PA who did see me was wonderful. She said I should call beforehand to ensure that Dr. Mobasser would be available at the time I sign up foron ZocDoc, but I just wish her schedule on ZocDoc was accurate so I don't have to both call and book online. The administrators at the front were also very helpful and friendly. They called my insurance for me to make sure I was covered. This review is more for the clinic in general- I came here several times over the span of a year and a half and only actually saw Dr. Mobasser ONCE. She was pleasant and generally knowledgeable but definitely did not meetmy expectations and I ended up switching primary care doctors. The other physical assistants were also generally pleasant although not very knowledgable. I had a PAP smear once with someone who was extremely rude and clearly uncomfortable with the process. This clinic does NOT live up to the positive reviews. I only came here because of that reason and because of Medical.